OK. I’ll check with Columbia’s institutional research office. But I believe that U.S. News ought to investigate and fix the error. It is certainly an error. On the Columbia University web page, there is a list of annual enrollments. The figures for 2012 and 2013 undergraduate enrollment are even higher than the ones reported by the U.S. Department of Education: 8,274 and 8,365 respectively. There is simply no basis for the 6,084 enrollment figure stated by U.S. News or the resulting claim that 30% of Columbia undergraduates are Pell Grant recipients. Well, you see how it is. I can’t help thinking that if this issue had involved a category of diversity other than socioeconomic, the error would have been discovered by now by someone whose actual job is to write about education. And U.S. News & World Report would have made a correction. This is turning into a mini-series. Stay tuned and see what I find out. Update: Ultimately, I decided not to bother asking Columbia officials about this. The links I cited from the federal government and the Columbia web site prove that U.S. News is wrong about that university’s enrollment and its percentage of Pell recipients. There can’t be any doubt about that, and I have more pressing subjects to address. While doing some research using the U.S. News & World Report rankings of top colleges, I discovered an error. In one set of rankings, the magazine’s staff takes its list of 25 highest rated national universities and compares economic diversity at those institutions. The benchmark used is the percentage of undergraduates who receive Pell Grants, a federal scholarship for students with financial need. To make a long story short, U.S. News exaggerated Columbia University’s percentage of Pell Grant recipients by 30%. A couple days ago, I sent U.S. News staff the message below. I pointed out the error, explained why it was misleading, and urged them to correct it. I’ll let you know if I receive a reply. I discovered an error in your report on economic diversity at the 25 highest rated national universities. You judged economic diversity by comparing percentages of Pell Grant recipients enrolled at each institution. 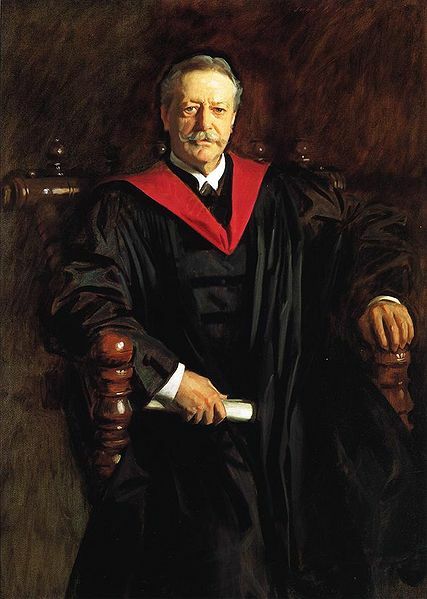 The report states that 30% of Columbia University undergraduates received Pell Grants in the 2012-13 academic year. That is an error caused by understating Columbia’s enrollment, which you list as 6,084. According to your accompanying introduction, the enrollment figure for each institution was the “fall 2012 total undergraduate enrollment collected from the colleges themselves by U.S. News.” I checked enrollment data for several of the colleges on your list at the federal government’s National Center for Education Statistics. The 2012 enrollments listed there do not match yours, and Columbia’s is not close. However, the 2013 enrollments do match the ones on your list that I checked, except (again) for Columbia. You can find the NCES statistics at this page, by selecting an institution, then selecting “Reported Data.” Next, you have to select the year, then “Fall Enrollment.” Then, scroll to the end. 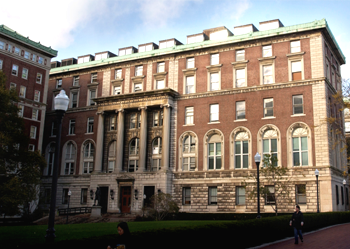 According to the NCES data, Columbia’s fall 2013 enrollment is 7,970. To be accurate, and consistent with the other enrollments you listed, that is the figure you should use. The federal government also reports that 1,819 Pell Grant recipients were enrolled at Columbia in the 2012-13 academic year. That yields a percentage of Pell Grant recipients at Columbia of 22.8% or, by rounding up, 23%. You have exaggerated the percentage of Pell Grant recipients at Columbia by 30%. That error is very misleading. If we look at economic diversity at top U.S. colleges, there is a striking gap between the two leading University of California institutions (36-39%) and the Ivy League (between 12% and 23%). Placing Columbia’s percentage in the 30s, along with UCLA and UCB, creates the false impression that the socioeconomic gap in American higher education is much smaller than it actually is. I urge you to correct the error.